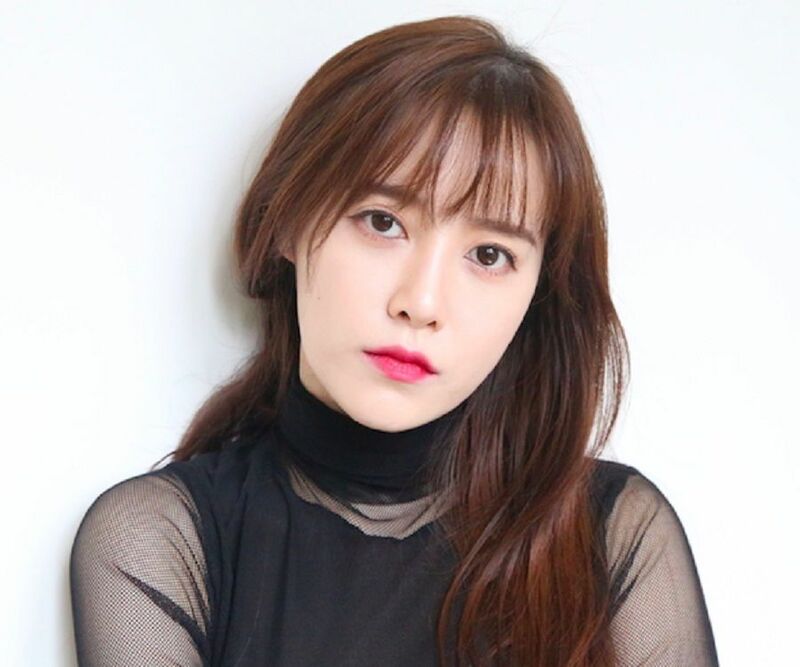 Ku Hye-sun is a popular South Korean actress, director, singer, songwriter and novelist. This biography profiles her childhood, family, personal life, career, achievements and some interesting facts. Ku Hye-sun is a popular South Korean actress, director, singer, songwriter and novelist. 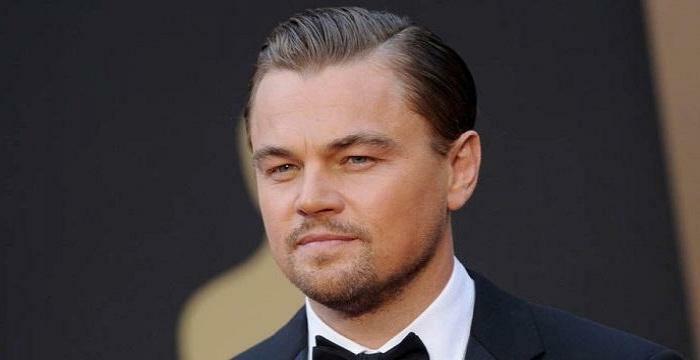 This multitalented artist has starred in many television dramas and films. She has also written scripts for two of her directorial ventures. Ku’s directorial ventures are mostly based on sensitive issues. She has also worked as an associate in many national and international Film Festivals and has directed trailers for such events. Ku's novel ‘Tango’, which includes drawings made by her, is a best seller. Her extensive list of works in the entertainment industry has endowed her with several awards and honorary titles. Ku has contributed a lot to help the organizations working towards the benefit of underprivileged children and cancer patients. She is an inspiration to many budding artists. 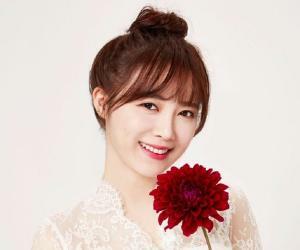 Ku Hye-sun was born in Incheon, South Korea on November 9, 1984. She is the second born child of her parents. During her early years, Ku developed a liking for music and dreamed of becoming a singer. She enrolled herself at the Sung kyunkwan University – Seoul Institute of Arts, and formed a vocal band with her college friends. Along with singing, Ku started modeling and did many internet campaigns as well. In no time, she became an internet sensation, and her dream of becoming a singer took a backseat. But she could never take music out of her mind. Ku Hye-sun was termed as ‘ulzzang’, meaning good looking, and hence many of the modeling agencies approached her. She enrolled herself as a trainee under SM Entertainment and later moved to DSP Media to become part of a three member girl group named ‘Ria’. After the idea of making her debut with the musical group failed, Ku signed a contract with YG Entertainment, an event management and modeling agency. Ku then decided to go ahead with her acting career and thus her career in films took off. Before making her debut with the KBS horror series ‘Anagram’, Ku did a commercial for Sambo computers. Initially, she did a few minor roles in some one-act dramas. Her performance was first noticed in the MBC sitcom ‘Nonstop 5’ and the 2006 television drama ‘Pure in Heart’ gave her the much-awaited stardom. Meanwhile, Ku’s dream of becoming a singer materialized with her debut single ‘Happy Birthday to You’ for the series ‘Nonstop 5’. From then on, she sang some of the tracks for the tele-dramas she acted in. Three years later, Ku released her first album ‘Breath’ in 2009. Ku's versatility was evidentin her performance in the historical drama ‘The King and I’, for which the critics appreciated her. After this, she starred in the martial arts drama ‘Strongest Chil Woo’. Ku took a break from acting and two years later, made a comeback with the MBC channel’s documentary, ‘Heo Nanseolheon’. She was also the producer and narrator of the drama. Ku’s debut directorial venture came in the form of a short film titled ‘The Madonna’, which was screened at the 2009 Puchon International Fantastic Film Festival. The following year, Ku directed her first feature film, ‘Magic’. Two years later, Ku set up her production house, Ku Hye-sun Films, and ‘The Peach Tree’ was the first film made under it. She also composed the theme song for it and later released its novel version. Apart from her acting and directorial works, Ku has been an ambassador for many brands and activities. Ku released her first illustrated novel ‘Tango’ in 2009 which became a bestseller. In the same year, she organized an art exhibition in which many of her paintings, including some from her novel, were displayed. The beginning of 2015 was not favorable to her as the KBS's vampire drama ‘Blood’ received low ratings and her performance disappointed the audience. Later in the year, Ku had to leave MBC's weekend drama ‘You’re Too Much’, due to health reasons. Nonstop 5 – Ku made her acting debut with this 2000 sitcom. The drama was a hit and continued for five more seasons, but Ku's performance was yet to be noticed by the critics and other directors. Drama City – Aired in 2004 on KBS, this weekly series is a collection of short stories. Ku starred in two stories named ‘Anagram’ and ‘Everybody Cha ChaCha’. The latter was aired in 2005. Pure in Heart –Also named as ‘Hearts of Nineteen’ and ‘Pure 19’, this drama made Ku a popular television actress. She played a brave secret lover named Yang Guk-hwa. Aired on KBS1 from 2006 to early 2007, the drama was a tremendous success, after havingprocured the highest rating for the year. The King and I – Ku played a beautiful concubine named Yoon So-hwa, who is also the love interest of the male lead. She later becomes the queen of the kingdom. This historical drama series which was aired on SBS from August 27, 2007 to April 1, 2008 received average ratings. Boys Over Flowers – Based on a Japanese novel, this series was aired on KBS2 from January 5 to March 31, 2009. Ku played the character of Geum Jan-di, a hardworking, intelligent but poor girl. The Musical – Aired on SBS from September 2 to December 23, 2011, this series beautifully depicted the lives of theatre artists. Ku played a character named Go Eun-bi, an aspiring theatre artist. Angel Eyes – After abreak in her acting career, which lasted for two years, Ku made her comeback with this television series. She played a blind girl named Yoon Soo-wan, who falls in love with a boy from a different community. After the character gets her eyesight back, she becomes a rescue worker. Blood –This series was aired on KBS2 from February 16 to April 21, 2015. Ku played a haughty physician and was heavily criticized for her horrible acting. 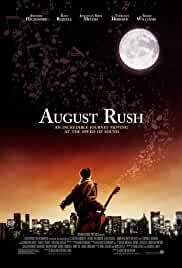 August Rush – This is Ku's first international film in which she did a minor role. Daughter –Ku played a character named San in this film. Her character undergoes miserable childhood because of her strict and abusive mother. Her performance was critically acclaimed and the movie became a milestone in her career. Happy Birthday to You – Released in 2005, this track from the series ‘Nonstop 5’ is Ku’s first single. Sarang Ga (Love Story) – In 2006, she released this track which became the theme song for her series ‘Pure in Heart’. Fly Again – Ku composed this song which was later used in the series ‘Take Care of Us, Captain’, which she acted in. Breath& Breath 2 –‘Breath’ is Ku's first album, released in the year 2009. The album included some of her self-composed songs that were well received by the music lovers, especially teens. In 2015, she released the second volume titled ‘Breath 2’. Happy – This is Ku's 5th digital single and is also a remake of Seo In-guk's song ‘Were We Happy’. She released another self-composed single titled ‘Must’ in the same year, which was used as a soundtrack for her film ‘Daughter’. And Spring – This is her first regular album that consists of 11 tracks including her singles ‘Stupid’, ‘Brown Hair’ and ‘It’s You’. It released on April 28, 2016. The Madonna –With this short film, Ku venturedinto film direction, script writing and editing. The film is based on sensitive issues like assisted suicide. After being screened at the 2009 Puchon International Fantastic Film Festival, the film premiered at many national and international film festivals including the Asiana International Short Film Festival and the Pusan Asian Short Film Festival. Magic - Released in 2010, this is Ku’s first feature film. The film was screened at the 6th Jecheon International Music & Film Festival (JIMFF). Fragments of Sweet Memories – Ku directed her first 3D film, ‘Fragments of Sweet Memories’, which was showcased at the Busan Cinema Center during the International 3D Festival (I3DF). The Peach Tree – This is the first film made by her production company. She also wrote the theme song and later released the novel version of the film. Samsung Galaxy S4 – Ku directed this short film and released it in the year 2013. The film was part of a project named ‘Story of Me and S4’. Daughter – This was her fifth directorial venture. The film, released on November 6, 2014, dealt with the issue of child abuse. Trailers –Apart from films, Ku has directed trailers for many national and international film festivals that include 7th Asiana International Short Film Festival (2009), 13th International Women's Film Festival in Seoul (2011) and 10th Jecheon International Music & Film Festival (2014). Tango – This is her first authored novel which also includes 40 drawings by her. The novel released on April 1, 2009. The Story Behind the Making of “Magic” – As the title suggests, the book narrates the story that took place behind the scene during the making of ‘Magic’. The Peach Tree – Ku released the novel version of the film with the same name in 2012. KBS Drama Award (2006) – Ku won the award for ‘Pure in Heart’under the category Best New Actress. SBS Drama Award (2007) – Ku won the Best New Star Award for ‘The King & I’. 26th Busan Asian Short Film Festival (2009) – Ku's film ‘The Madonna’ won the Audience Award. 4th Andre Kim Best Star Award (2009) – Ku won the Best Female Star Award for ‘Boys Over Flowers’. KBS Drama Award (2009) –Ku received awards under three categories namely, Excellence Award, Best Actress in Mid-Length Drama and Netizen Award for ‘Boys Over Flowers’. 12th ShortShorts Film Festival & Asia (2010) – Ku won the Spotlight Award for ‘The Madonna’. 14th Annual Republic of Korea Design Award by Ministry of Knowledge Economy (2012) –Ku was honored with Design Merits Division-Minister Commendation Award for her works in the entertainment industry. Ministry of Health and Welfare (2013) – Ku received the 2nd Happiness Sharing Talent Award for her philanthropy works. Ministry of Gender Equality and Family (2014)–Ku was honored with the Grand Prize for her works to promote Gender Equality. The 6th Seoul Senior Film Festival (2014) – Ku won the Best Young Director Award. Ambassadorships – Ku was also endowed with many honorary Ambassadorships from 2012 to 2016 such as Goodwill Ambassador for International 3D Festival, Promotional Ambassador for Cheongju International Craft Biennale and Artistree, Honorary Ambassador by Persons with Disabilities Film Festival, Korean Leukemia Association and Social Contribution Donation Bank. 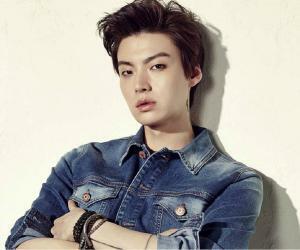 Ku was in a relationship with her ‘Blood’ co-star Ahn Jae-hyun since April 2015. She announced it officially on March 11, 2016. Soon after, the couple registered their marriage at the Gangnam district office on May 20, 2016. Instead of having a lavish wedding, the couple decided to make donations to Severance Hospital. The pair appeared in the reality show ‘Newlyweds Diary’, which showed their life after their wedding. Ku Hye-sun has never been linked romantically with anyone else.